Air pollution is now the world’s single greatest environmental health risk, according to the World Health Organization’s (WHO) new findings that show poor air quality is responsible for 7 million deaths a year – one in eight total deaths worldwide. WHO estimates that indoor air pollution caused 4.3 million deaths in 2012 in households that burn wood, coal or biomass as cooking fuel, while outdoor air pollution contributed to 3.7 million deaths the same year. Because many people are exposed to both indoor and outdoor air pollutants, WHO could not simply add the two figures together, but came up with an estimated total of 7 million deaths in 2012. It is already common knowledge that poor air quality can trigger and aggravate respiratory diseases like acute respiratory infections and chronic obstructive pulmonary disease. But WHO reported that its new data also shows a stronger correlation between air pollution and cancer, as well as air quality and cardiovascular diseases, including strokes and heart disease. WHO’s new data also revealed that cardiovascular diseases accounted for the vast majority of deaths linked to air pollution: 40 percent of deaths caused by outdoor air pollution were due to heart disease and another 40 percent were from strokes. Of deaths linked to indoor air pollution, strokes made up 34 percent of fatalities, while heart disease represented 26 percent. Lung cancer accounted for 6 percent of both outdoor and indoor air pollution-linked deaths. 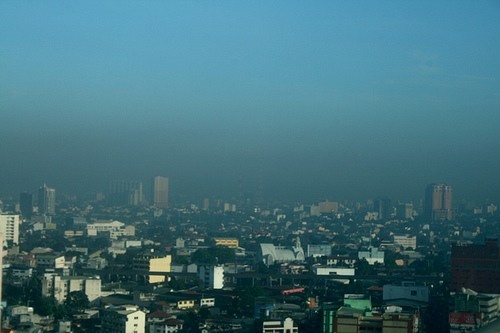 Low- and middle-income countries in Southeast Asia and the western Pacific were the most affected by poor air quality, WHO reported, with a total of 3.3 million deaths due to indoor air pollution and 2.6 million deaths from outdoor air pollution. Poor air quality was also more likely to impact low-income women and children, according to Dr. Flavia Bustreo, assistant director of WHO’s general family health department, because they spend more time at home breathing in pollutants from wood, coal or biomass stoves. Approximately 2.9 billion people worldwide use wood, coal or dung as cooking fuel in their homes. In countries with poor air quality, WHO recommends government policies and programs to curb air pollution; indeed, the U.S. Environmental Protection Agency found that our country’s clean air laws prevented 160,000 premature deaths in 2010. And in 2020, the agency predicts 230,000 premature deaths will be avoided because of improved air quality. Air quality regulations can even spur economic growth: The U.S. Clean Air Act kickstarted the country’s environmental technologies industry, creating markets for cleaner vehicles, alternative fuels and pollution controls. By 2007, this industry was generating approximately $282 billion in revenues, producing $40 billion in exports and supporting 1.6 million jobs, the EPA reported. WHO based its new estimates on the organization’s latest mortality data for 2012, as well as new global data mapping technology that included satellite data, ground-level emission monitoring and models of how pollution spreads through the air. Later this year, WHO plans to release data on outdoor and indoor air pollution-linked deaths by country, indoor air quality guidelines for household fuel combustion and an update on air quality measurements in 1,600 cities in different regions around the world. 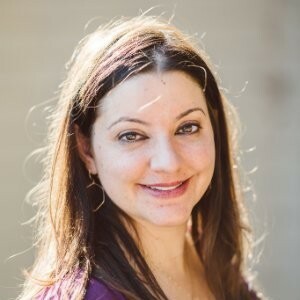 Passionate about both writing and sustainability, Alexis Petru is freelance journalist and communications consultant based in the San Francisco Bay Area whose work has appeared on Earth911, Huffington Post and Patch.com. Prior to working as a writer, she coordinated environmental programs for various Bay Area cities and counties for seven years. She has a degree in cultural anthropology from UC Berkeley.